Kayla, Evelyn, and Trina have been on-and-off-again girlfriends for many years, but the lines of true friendship will be crossed, the knives that go into another friend's back will cut deep, trust will not apply, and no one will share their dirty little secrets. With enough backstabbing, finger-pointing, and disrespect to go around, this trio sticks to their motto of "What she can do, I can do better; and whatever she has, I want a piece of it too." Much competition is thrown in the mix, and jealousy is so thick that there will be no place for anyone to run when the mess hits the fan. Only then will they attempt to put their many differences aside, but when severe damage is already done, it may be possible to forgive, but certainly not to forget. 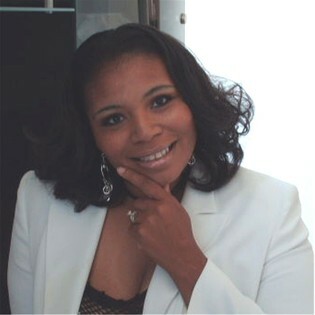 Brenda M. Hampton is a native St. Louisan with a gift and passion for writing. She maintained journals for several years, but it wasn't until she read Terry McMillan's Disappearing Acts, it prompted Hampton to explore writing in ways she never thought was possible. In early 2002, Hampton began crafting her memoir, In My Shoes, along with two fiction novels: Two's Enough Three's a Crowd and How Can I Be Down? The following year, she completed thrilling sequels to both fiction novels and additional bestselling books followed thereafter. To her credit, Hampton has written more than twenty-plus novels, novellas and anthologies. She is mostly known and recognized for creating one of the most addictive book series in literature, The Naughty Series. Praised as the writer who brings the heat, Hampton's literary career is filled with many accomplishments, one being a National Bestselling Author. Her name has graced the Essence Magazine Bestseller's List, she was named a favorite female fiction writer in Upscale Magazine and is also named in the Top 100 Most Admired African American Women in Literature. Hampton's mystery novel, The Dirty Truth, was nominated for an African American Literary Award, her reality TV drama series, Hell House, was named 2012 top book choice by the Sankofa Literary Society, and Hampton was awarded by Infini Promotions for being the best female writer. Hampton's dedication to her career, and writing skills, led to a multi-book deal through Urban/Kensington Books in New York City, a major publishing house she refers to as her literary home. She also has literary works published and distributed by Strebor/Simon & Schuster.